The Best Portrait Photography blogs from thousands of top Portrait Photography blogs in our index using search and social metrics. Data will be refreshed once a week. 2.55 Capture Aloha Photography Maui Photography | Wedding & Portrait Photographer. Portrait Photography newsletter is a comprehensive summary of the day's most important blog posts and news articles from the best Portrait Photography websites on the web, and delivered to your email inbox each morning. To subscribe, simply provide us with your email address. San Francisco, CA About Blog A Portrait Photography Blog. Reddit is a community of millions of users engaging in the creation of content and the sharing of conversation across tens of thousands of topics. Facebook fans 1,145,061. Twitter followers 505,939. About Blog A Portrait photography Blog. We are a trusted, established contemporary wedding, portrait photography & cinematic films provider in Malaysia. We travel worldwide. Facebook fans 15,962. Twitter followers n/a. Massachusetts, USA About Blog Stephanie Piscitelli, Boston's Premier Maternity, Children and Family Photographer, Specializing In Natural Light On Location Portraits. One of Boston's most sought after photographers for newborn, children and family portraits. Facebook fans 16,401. Twitter followers 111. Orlando, Florida About Blog Lotus Eyes Photography is the leading corporate event photography firm in Orlando. Founded 5 years ago, we specialize in private and corporate events, conference photography and video, On-site headshots and Marketing collateral through imagery. Facebook fans 1,206. Twitter followers 360. About Blog Improve Photography is one of the web's most popular photo blogs with tips, techniques, and tactics for photographers. Facebook fans 621,285. Twitter followers n/a. Solon, OH About Blog Photo Editing Service, Photographer's Edit, is a custom photo editing company for the wedding and portrait photographer. Facebook fans 13,472. Twitter followers 10,809. Philadelphia About Blog Sweetwater is a unique Philadelphia-based wedding photography team of Julie Melton and Dutch Huff, photographing weddings in the tri-state area and destinations worldwide. Facebook fans 1,276. Twitter followers 254. Virginia About Blog A Portrait Photography Blog. Welcome to the latest and greatest happenings over at Heather Chesky Photography! Facebook fans 2,009. Twitter followers 73. Eastern shore, MD About Blog Gillette portrait arts is a contemporary portrait studio that serves the mid-atlantic and beyond. Facebook fans 2,126. Twitter followers 181. About Blog VIBE Photography is a leading photographer from the Central Coast who specialises in wedding photography, portrait photography and cinematography. Facebook fans 2,409. Twitter followers n/a. Buffalo, NY. About Blog Creative, Modern & Fresh Wedding & Portrait Photography in Buffalo, NY. Facebook fans 2,682. Twitter followers n/a. Boise, Idaho About Blog Leap Photography is a boutique portrait studio located in Boise, Idaho and is available for travel worldwide. Facebook fans 628. Twitter followers 359. About Blog A Portrait Photography Blog. 500px is a global online photography community for sharing, discovering and licensing amazing photos. Facebook fans 874,940. Twitter followers 2,714,724. Brooklyn, NY About Blog Portrait photography tips and tutorials that actually work. Create more effective portraits with our simple lighting, composition, and interaction techniques. Facebook fans 35. Twitter followers 20. Facebook fans 12,434. Twitter followers 55. Stockholm, Sweden About Blog A Portrait Photography Blog. Technique, tips, how-to's, guides and more. Facebook fans 1,010. Twitter followers 770. California About Blog Hi. I’m Rich, a wedding and portrait photographer from Southern California. I love to be able to capture a couple’s story through a series of beautiful images but still be able to tell that story in one single amazing image. Melbourne, Victoria About Blog Hi there! Welcome to the photo world of freshPhotography, Melbourne. We are Souri and Andreas (and little Ethan), a husband and wife team who just love to take photo capture moments and emotions! Facebook fans 1,542. Twitter followers 147. Maine, USA About Blog I've been photographing weddings and lifestyle portraits nationwide since 2001. The intensity of emotion on the wedding day to the delicate and intimate time of having a baby is a great combination of simple moments that I love to watch unfold. Facebook fans 1,196. Twitter followers 351. Brisbane Australia About Blog A wedding & portrait photography studio. Bringing together a group of likeminded creatives Marcus has built a photography studio recognised internationally for the creativity, quality and professionalism of their work. Marcus’ natural ability to capture the spirit and character of the people he photographs forms the base of the studio’s signature style. Facebook fans 14,135. Twitter followers 4,793. Denver About Blog Kara Pearson Photography is a professional photographer specializing in wedding, portrait and boudoir photography. She is located in Denver. Facebook fans 643. Twitter followers n/a. Portland, OR everywhere About Blog Hi We're Stark Photography, Portland wedding photographers and portrait photographers. We're based in Portland, Oregon and focus on artistic documentary wedding and portrait photography. Facebook fans 5,118. Twitter followers 277. Minneapolis, MN About Blog A Minneapolis based Wedding and Portrait photography Blog. Facebook fans 5,698. Twitter followers n/a. Missouri About Blog Catherine Marie Rhodes Photographer, Columbia Missouri wedding photographer and portrait photographer blog. Fresh and modern approach to wedding and portrait photography, Catherine is located out of Columbia Missouri and shares with you her work, inspiration and daily life of being a photographer. Facebook fans 4,892. Twitter followers 379. About Blog Candace Jeffery Photography specializing in real life portraiture and fashionable wedding photography, for the modern bride and groom. Facebook fans 2,183. Twitter followers n/a. Virginia About Blog A Portrait Photography Blog by Tori Watson. Facebook fans 2,814. Twitter followers 849. NYC About Blog I'm a headshot and portrait photographer working in both the concrete jungle of NYC, and the beautiful plains in my home state of Nebraska. Facebook fans 1,316. Twitter followers n/a. About Blog Mat Tam Photography offers on-location portrait session around Boston Massachusetts. Specialized in family, baby, children, senior and proposal pictures. Tallahassee, Florida About Blog A Portrait Photography Blog. We are Black & Hue Photography. We believe pictures can tell stories. And we do our best to bring your story to life through our photojournalistic style and attention to detail. Facebook fans 13,273. Twitter followers n/a. Cape Town About Blog I love looking out for unique details, interesting light and amazing connections between couples and families. My aim is to create beautiful and honest images that portray the emotion and beauty of your wedding day or a certain time in your life. Facebook fans 2,226. Twitter followers 1,052. Arizona. About Blog A Portrait Photography Blog. I photograph each unique wedding as a story told through pictures. My goal is the capture the candid moments and real emotions of your wedding while remaining unobtrusive. I create thoughtful, elegant and artistic images that will last a lifetime. Facebook fans 825. Twitter followers n/a. Toronto About Blog A Modern wedding and portrait photography for the fearless and fabulous. Facebook fans 2,762. Twitter followers 795. East London About Blog A Portrait Photography Blog By Michelle George. Facebook fans 4,043. Twitter followers 982. About Blog Keep up to date with our latest news and articles in our blog. We even post special deals as well as hints and tips so that you can get the most out of all the images you capture of you and your family. Facebook fans 854. Twitter followers 39. About Blog Alexander Ward is a Manchester photographer working in fashion, commercial, product and ecommerce. He has featured by Channel 4, Public Desire and PrettyLittleThing. About Blog I am truly obsessed with two things: Photography and people. I have always tried to find interesting ways to combine the two, and capture genuine emotions and moments as they naturally happen.I just wanted to show people that the world is a good place. And a beautiful place in that. And that people want to get to know you, and share in your life with you, if you just give them the chance. Titusville, NJ About Blog A Portrait Photography Blog by Andrew Wilkinson. Pennsylvania About Blog I’m a modern wedding & portrait photographer based just outside of Reading, PA. Our job is to capture powerful images that take you back to those memories, and allow you to experience the magic of moments that happen when you aren’t looking. Facebook fans 1,414. Twitter followers n/a. New York, NY About Blog Hi there! I am a NYC-based, documentary-style wedding, event, and portrait photographer. I love telling the story of someone's love, life, and happiness in one frame. The photos I capture tell stories of real emotion and sheer joy. Facebook fans 227. Twitter followers 76. Austin, TX, USA About Blog Norah Levine Photography is a professional portrait photographer and fine artist located in the Austin area of Texas and available in the Santa Fe area of New Mexico by appointment. In business since 2003, Norah specializes in high end portraits of children, families, and pets in their homes and on location. Facebook fans 1,937. Twitter followers 426. About Blog Matthew Douglas Photography is a central NJ based wedding and portrait studio specializing in timeless wedding photos and custom family portraiture. Facebook fans 10,010. Twitter followers n/a. Hendersonville, NC About Blog We are collectors of moments, painters of light, storytellers, adventure seekers, and admirers of this beautiful life. We believe in family, in true love, and that we are nothing without our Savior. We are Meghan and Micaela. Facebook fans 2,027. Twitter followers 58. Pooler, GA About Blog Contemporary Portraiture Photographer with a deep love of anything military, available to travel the world. The aim is to capture your memories one moment at a time. Facebook fans 21,013. Twitter followers 261. San Antonio, TX About Blog San Antonio's most sought after Senior Portrait Photographer, capturing the most beautiful high school seniors around. Facebook fans 8,038. Twitter followers 842. Facebook fans 1,018. Twitter followers 77. Oklahoma City About Blog Modern and professional, Courtney DeSpain Photography offers lifestyle newborn, maternity, first year, and commercial photography. Located in the Oklahoma City area. Sacramento About Blog A Sacramento portrait photography blog showcasing the work and events happening at Brenda Bisharat Photography, the Sacramento Portrait Party Photographer. Facebook fans 2,372. Twitter followers 864. Windsor, ON Canada About Blog The couture portrait photography style is contemporary fashion inspired portrait combined with an experience of looking like the women in our magazines and feeling beautiful. Couture portraiture is often referred to as glamour, beauty, fashion and portrait photography. Facebook fans 3,491. Twitter followers 243. Virginia About Blog A Wedding and portrait photographer based in Northern VA who loves travelling and capturing beautiful moments and memories. Facebook fans 1,734. Twitter followers 159. Facebook fans n/a. Twitter followers 252. Oklahoma City About Blog Josh Fisher is a portrait photographer specializing in fine art wedding portraiture. Josh beautifully captures portraits of love, romance, intimacy and delight on the wedding day. Although based out of Oklahoma City, Josh and his team are available for travel worldwide. Facebook fans 43,770. Twitter followers 1,073. 55. Capture Aloha Photography Maui Photography | Wedding & Portrait Photographer. lahaina, HI About Blog Here at Capture Aloha, you'll not only find the friendliest photographer with the best prices, you'll also get over 13 years experience in wedding and portrait photography. Our intention is to capture that spirit in you so that your memories of Maui can last a lifetime. Facebook fans 1,159. Twitter followers 235. About Blog Manchester Wedding and Portrait Photographer Ali Groves, specialises in creating natural relaxed and emotive photographs. Ali photographs those special moments to be kept for a lifetime. Her photography experience spans over a decade with results that speak for themselves. About Blog Gina’s Portraits offers a variety of options to assist you in making your wedding, event or portrait session as perfect as you have imagined it! Facebook fans 6,789. Twitter followers 36. Victoria, British Columbia About Blog A Portrait Photography Blog By Kim Kalyn. I attempt to create romantic, timeless and natural images that are modern, stylish and unique. My goal is to make you feel comfortable and to above all have a FUN photographic experience! Facebook fans 1,816. Twitter followers n/a. Norwich About Blog Norfolk Photographer full-time professional contemporary Wedding, Portrait, and Event & Commercial photography. Offering personable, relaxed photography designed to capture natural expressions, emotions and relationships. Facebook fans 604. Twitter followers 301. Oregon About Blog An Oregon Portrait, Engagement & Wedding Photographer. Love of film, road trips, and VW buses. Facebook fans 2,358. Twitter followers 16. Woodbridge, Suffolk About Blog Our Boutique Portrait Studio based in Woodbridge, Suffolk, is all about luxury portraiture. We aim to empower, increase confidence and boost self-esteem in not only women but all our clients. We provide simple, elegant photography, and creating unique contemporary portraits clients are proud to own and display. Facebook fans 309. Twitter followers 633. Dayville, CT About Blog Charleen's Portrait Studio is a New England photography studio specializing in high school seniors, maternity, newborn, family and executive portraits. Facebook fans 2,837. Twitter followers 97. Bradenton, Florida About Blog Angel Navarro Photography is a full-service photography studio located in Bradenton, Florida, specializing in both portraiture and commercial photography. Facebook fans 653. Twitter followers 41. About Blog Welcome to my blog dedicated to my self portrait photography. I've made self portraits since 1971 but have only made a serious effort to make one a day since 2009. New South Wales About Blog Leighsa Cox Photographer is a Wedding Photography Specialist in Maitland, Newcastle & Hunter. Also offering Portrait and Newborn Photography. Facebook fans 3,101. Twitter followers n/a. About Blog A Portrait Photography Blog by Suzanne Deaton. Facebook fans n/a. Twitter followers 864. Louisiana About Blog I am Emily, a South & Central Louisiana natural light photographer, and I would love to have the opportunity to create a custom portrait experience for you. I pride myself on the ability to capture the beauty and personality of my subjects along with the beauty of the scenery around them. My style is warm, natural, & vibrant. West Yorkshire UK About Blog Welcome to my blog. My name is Cecilia Costello and my passion is simple: to create beautiful, natural images of children in their own surroundings. The woods, the local park or the countryside in general are just a few favourite venues. I photograph using only natural light to capture the children's true spirit in a timeless way. Facebook fans 317. Twitter followers 486. Fredericton & Saint John, NB About Blog Welcome! Victoria West Portrait specializes in magazine style portraiture. Fredericton, NB. Facebook fans 7,069. Twitter followers 55. 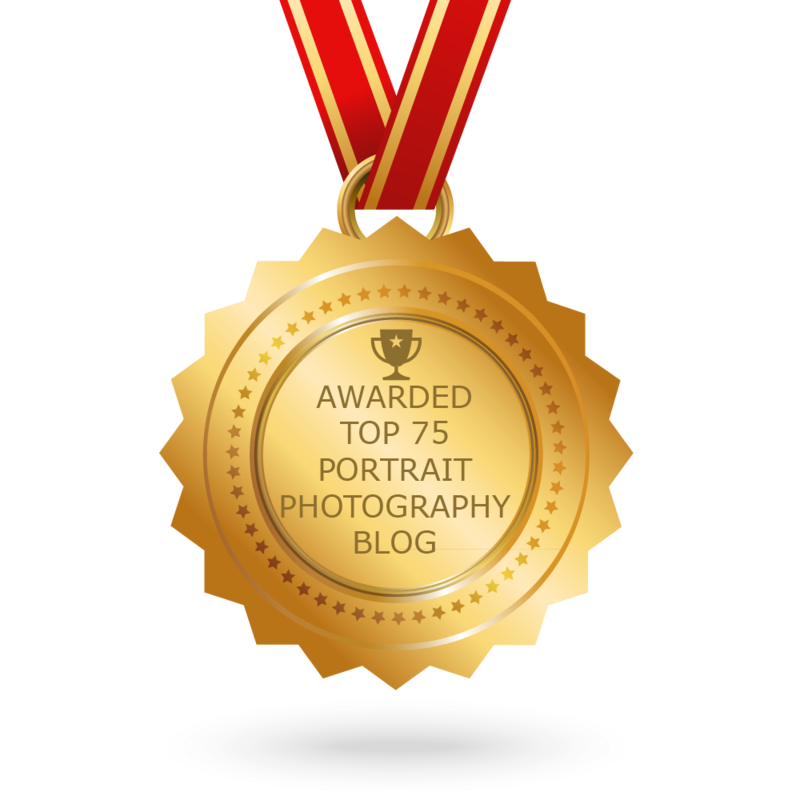 CONGRATULATIONS to every blogger that has made this Top Portrait Photography Blogs list! This is the most comprehensive list of best Portrait Photography blogs on the internet and I’m honoured to have you as part of this! I personally give you a high-five and want to thank you for your contribution to this world.